It’s absolutely a big pity if precious photos or videos get deleted or formatted by accidental from SD card which is placed in digital camera, cell photo, or other digital devices. Another situation we may encounter is that SD card turns inaccessible; say SD card can’t be opened and asks to format it. Facing such problems, you need a easy and sufficient SD card recovery solution to get lost photos, videos and other files back. SD card became RAW and can’t be opened. Is it possible to recover lost data from SD card? Some people just lost hope when coming cross the problem and takes that files on SD card have gone for good. However, the truth is that they have high chances to recover lost data from SD card ahead of data overwritten. 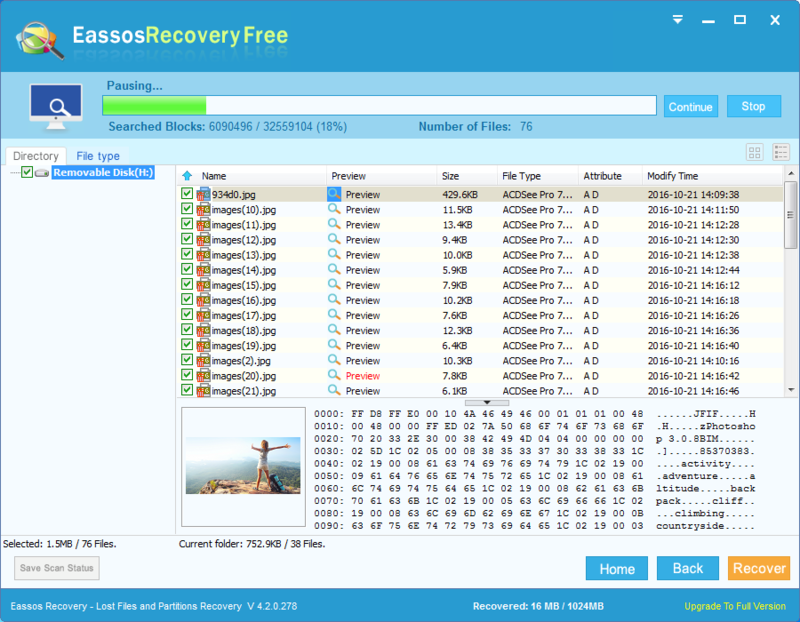 SD card recovery can be realized easily with the help of SD card recovery software, and Eassos Recovery Free is a powerful and free program for recovering lost photos or videos from SD card and other storage devices. 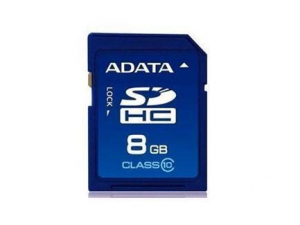 What to do when data gets lost from SD card? Stop saving data to the card, such as take photos, make new videos. 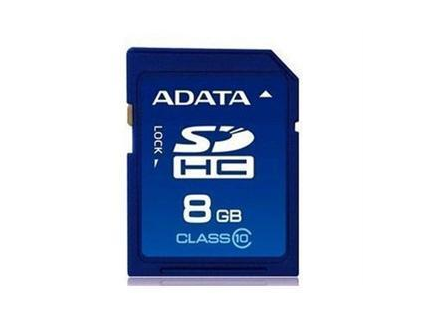 Since the capacity of SD card is limited, there is huge possibility that new files occupy the free space which was taken by lost data. And this may cause files to be permanently wiped from SD card. After files get lost, you should connect the SD card to computer and start searching for lost files with SD card recovery software. 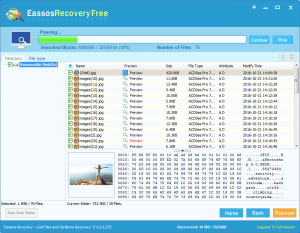 Eassos Recovery Free not only can recover photos, but also videos and music files from SD card in all Windows computers. This program has wizard interface which makes the entire recovery process quite easy to follow. Do not install the recovery software to SD card and do not save recovered files to the card either. 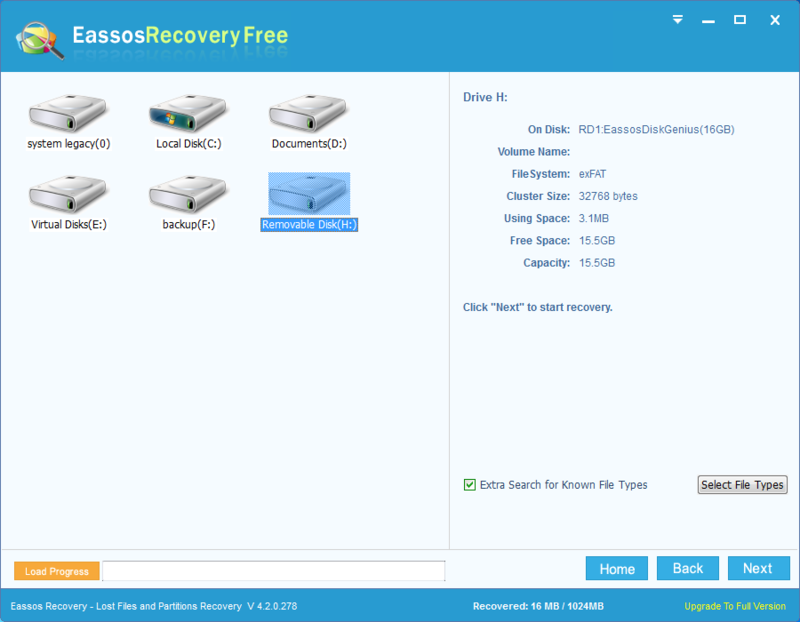 How to recover deleted / lost files from SD card? Step 1: Insert the SD card to a card read or adaptor and connect it to computer. 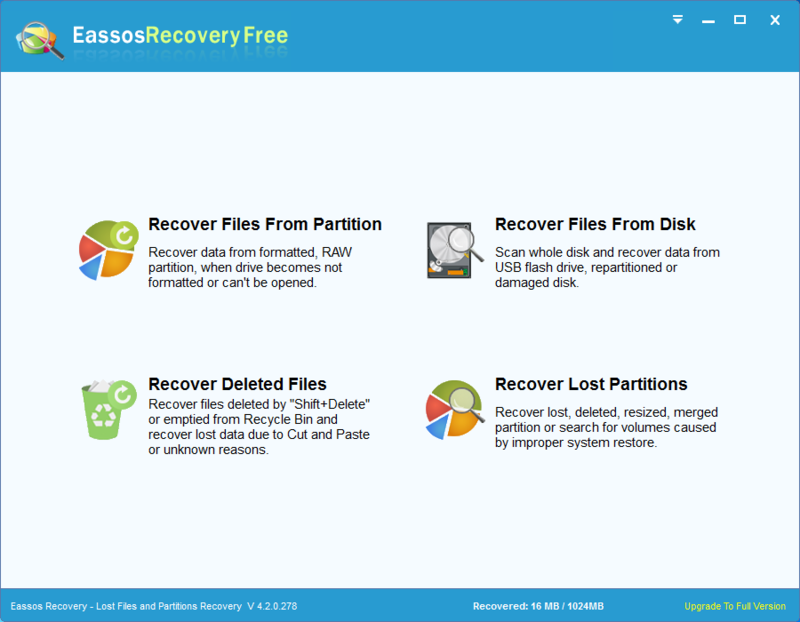 Step 2: Install and launch Eassos data recovery software from your computer and select proper recovery mode. 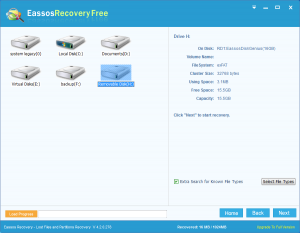 Step 3: Select the SD card to do a full scan and Eassos recovery software will display all recoverable files. Step 4: Preview and recover files. Select files and click Recover button, then save recovered data to computer. 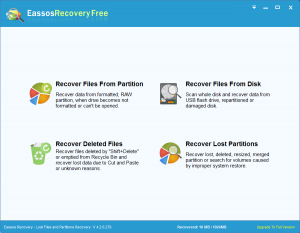 This entry was posted in Data Recovery and tagged SD card recovery, SD card recovery software by EASSOS. Bookmark the permalink.